Heat a grill to medium-high. Toss the melon slices gently in a bowl with a drizzle of olive oil. Using tongs, place the melon slices across grill grates. Don’t disturb them once you’ve laid them down. Let them cook for 3 to 4 minutes to brown—you’ll see the edges start to caramelize. Flip them and brown the other side. Remove from the grill and set aside to cool. Dice the grilled melon into pieces that are about the same size or slightly larger than the tomato. Toss into a bowl with the tomato, jalapeño, and shallot. Add some of the lime juice, 1/4 cup olive oil, and salt and pepper to taste. Stir in the cilantro and basil. Taste and add salt, pepper, and lime juice as needed. Check your cucumbers daily and harvest early. And if you're harvesting for pickling, make that even earlier! Remember that timing and length will vary with variety but overall, cucumbers are fast growers. The fruit should be firm and smooth. Over-ripe cucumbers can be very bitter or pithy, even before they start to turn yellow. If you're noticing a yellowed bottom on your cucumber, it's a sign that it's over-ripe so remove immediately. When cutting off the vine, use a knife or clippers and cut above the stem. Pulling may damage the vine. Harvested cucumbers keep for up to 10 days in the refrigerator but use them ASAP for best flavor. (Keep reading for the perfect 2-step recipe to incorporate your harvest in!) The more you harvest off the vine, the more fruit you'll get. So get harvesting! Source: Evan Bloom and Leo Beckerman, Wise Sons Jewish Delicatessen. This recipe was demonstrated for CUESA’s Market to Table program on July 19, 2014. 2. Add the cucumbers, basil, salt and pepper. Toss and serve. Normally sweet corn is ready for harvest about 17 –24 days after the first silk strands appear. This can occur more quickly in hot weather and more slowly in cool weather. Harvest corn when the husks are still green, silks are dry brown, and kernels are full sized and yellow or white in color to the very tip of the ear. Experienced gardeners can feel the outside of the husk and tell when the cob has filled out. Harvest corn at the “milk stage”, use your thumbnail to puncture a kernel. If the liquid is clear, the corn is immature, if it’s milky, it’s ready, and if there is no sap, you too late. And here's the best tip in the game: Cover unharvested ears checked by this method with a paper bag to prevent insect or bird damage! Picturesque corn stalks - save them for fall decorating! For corn that you'll be storing for a day or two, pick in the cool temperatures of early morning to prevent the ears from building up an excess of field heat, which causes a more rapid conversion of sugars to starch. 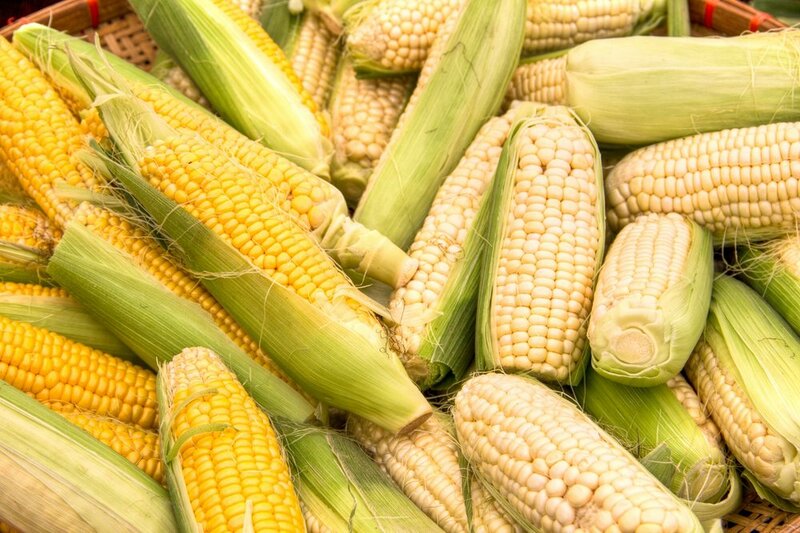 The best time to pick is just before eating the corn; country cooks say to have the pot of water coming to a boil as you are picking the corn, husking it on the way from the garden to the house! This is an exaggeration, but with standard varieties, sugar conversion to starch is rather rapid. For any corn picked in the midday sun - plunge the ears in cold water or put them on ice for a short time to guard against the effects of field heat. Then, just store it in the refrigerator until you're ready to eat! 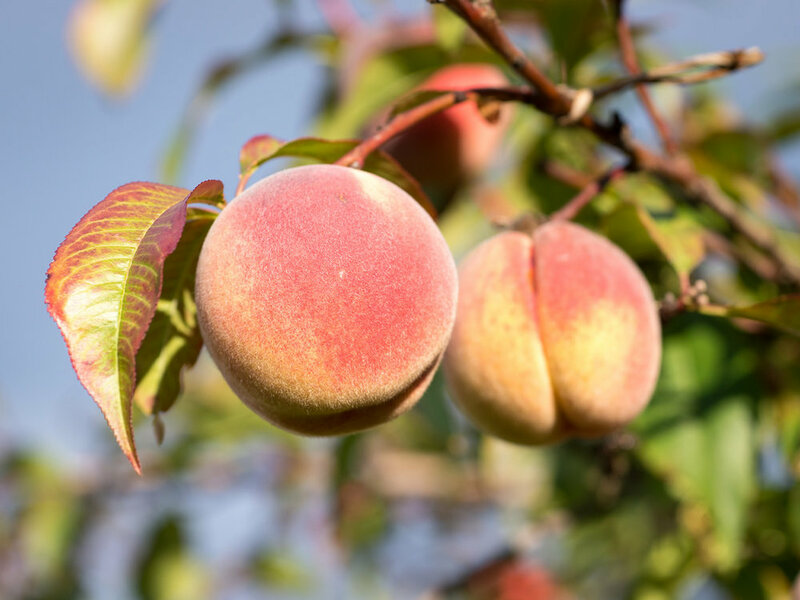 Extra-sweet varieties will also benefit from this treatment, but they are not as finicky because they have a higher sugar content and they hold their sweetness longer. The conversion of sugars to starch is also not as rapid in the newer super sweet types. I left out the 1 ounce of queso fresco or feta cheese whisked with 1-2 tablespoons of milk. Heat oil in a large pot. Sweat the onions covered for about 5 minutes. Add carrots, cover, and cook another five minutes. Add garlic, dried herbs, cayenne, and cook covered another couple minutes. Add corn, season with salt, cover then cook another five minutes. Add vegetable stock, bring to a boil, cover and remove from the heat. Puree in a blender then strain through a fine mesh sieve. (Be sure to have a pot under the strainer to catch the soup ---- I have made this mistake before and don't want you to). Return soup to the big pot and season to taste. I roasted the poblanos directly over the flame of the gas stove until they were blackened, put them in a ziploc bag to steam for awhile, then could easily remove the skins. Ladle the soup into bowls. Stir in the poblanos and cilantro and serve. This recipe is from the website of Kaiser Permanente, Food for Health, Recipes for Life. Strawberry Harvest + A Recipe Too! The strawberry is truly a special treat of the summer season. At harvest, most of the fruit should be heart shaped, but can vary in size. Color should be vivid red to dark crimson skin, speckled with those dry, diminutive seeds. The berry should have a flowery fragrance, be juicy and have a sweet taste. Wild strawberries, also known as Fraise Des Bois, will be about the size of a large raspberry and heart shaped. Red or white, the fruits are extremely fragrant, tartness is overshadowed by sweetness. And the taste is incredible, very power packed. 4 thick slices of French or Italian bread, preferably slightly stale. Dry bread will soak up the egg mixture better than fresh bread! Slice the bread into cubes. In a large bowl whisk together the eggs, cream, vanilla extract. Dip the cubed bread into the egg mixture, then place on a greased baking sheet. Combine the sugar and cinnamon and sprinkle onto the cubes. Broil for 2 minutes, flip, then broil another 2 minutes. Keep an eye on the bread during the last minute so it doesn’t burn. Remove the French toast from the oven and layer them on the skewers with the strawberries. Serve with maple syrup or strawberry jam as a dipping sauce. This recipe is from the website Fruit & Veggies More Matters.